for $565,000 with 4 bedrooms and 2 full baths. 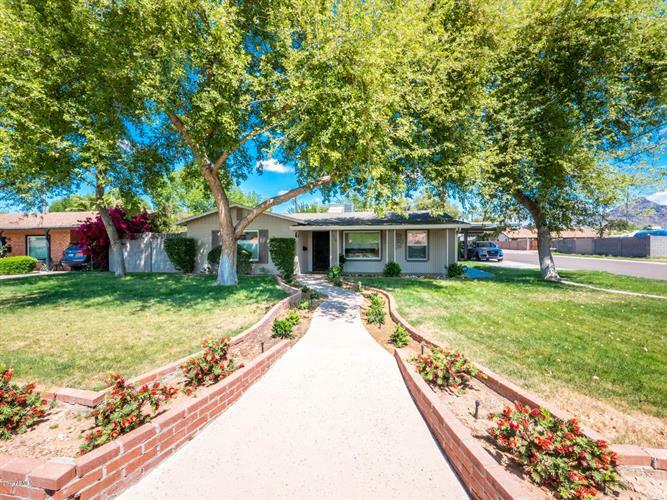 This 2,028 square foot home was built in 1948 on a lot size of 9692.00 Sqft. BEAUTIFUL ANDERSON-JACKSON MOVE IN READY REMODEL IN 2010 WHERE THE HOME WAS BASICALLY TAKEN DOWN TO THE SLAB. GOURMET KITCHEN WITH NEWER STAINLESS STEEL APPLIANCES INCLUDING REFRIGERATOR , DOUBLE OVEN AND GAS RANGE. ALSO INCLUDED ARE CUSTOM CABINETS, SILESTONE COUNTERS, SKYLITE & OPENS TO FAMILY ROOM. SELLER INSTALLED WOOD TILE T/O IN 2015 AND ALSO A CUSTOM QUARTZ EAT IN KITCHEN TABLE THAT SEATS 8 AND HAS A MYRIAD OF UNDER COUNTER SPACE. BUILT IN BENCH SEATING WITH STORAGE. SPLIT MASTER SUITE, FORMAL LIVING AND FAMILY ROOM. LIVING ROOM ALSO HAS CUSTOM CABINETS. CROWN MOLDING T/O. BACKYARD HAS NEW BRICK PAVERS T/O, RV GATE AND JUST OUTSIDE OF GATE IS COMMERCIAL PARKING STRUCTURE FOR 2 CARS. INCREDIBLE VALUE.